We were heading thru Redding on our way to the northern California coast just north of Eureka when our engine decided to ingest one of its valves. So ... as we sat in the Cummins West yard having our engine rebuilt we had a chance to see a little of this town. In addition we got to see our first fast pitch softball game. The daughter of Ray, our master mechanic, was playing in the championship playoff series. Unfortunately, we didn't get to see much because their team won by the "mercy rule" which ended the game after the fifth ending. It was however an interesting glimpse of the local life. 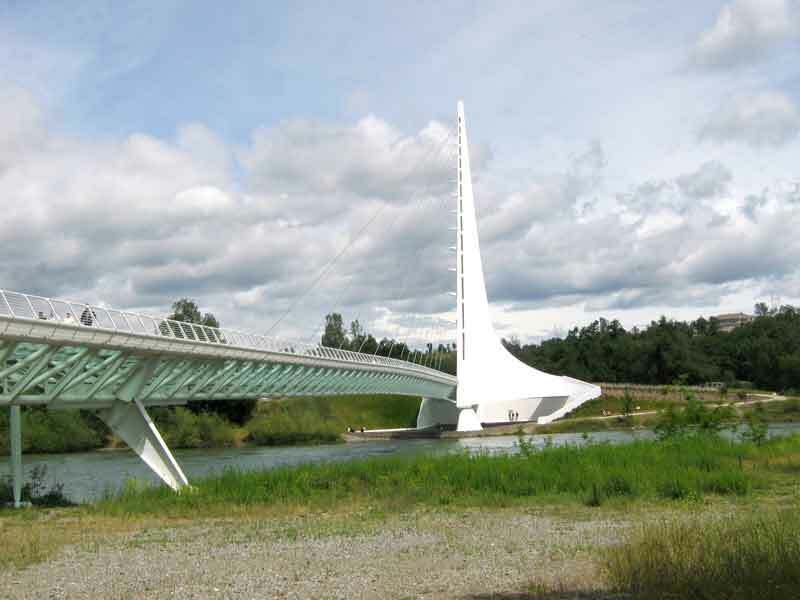 This bridge spans the Sacramento river and has the mast for the support cables built in the shape of a sundial. In fact it is a sundial that uses a scale on the ground to show the Summer Solstice. A very clever and beautiful structure. It is in the center of 300 acres of trails, an arboretum, a museum and a cafe. If you get to Redding be sure to see this. Just after we left Redding we had an engine failure caused by a valve dropping into a cylinder. The valve head broke off and bounced around the exhaust manifold, entering other cylinders and causing damage there also. It then ended up in the turbo. 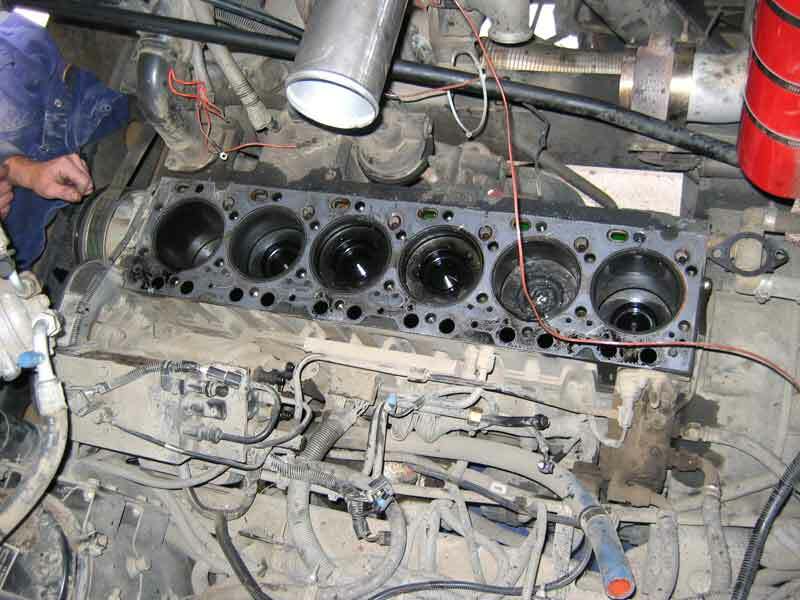 This resulted in having to replace liners and pistons in all cylinders, a new head assembly and a new turbo. This was all done under our Cummins warranty which is a very good thing since it would have cost us several thousand dollars otherwise. 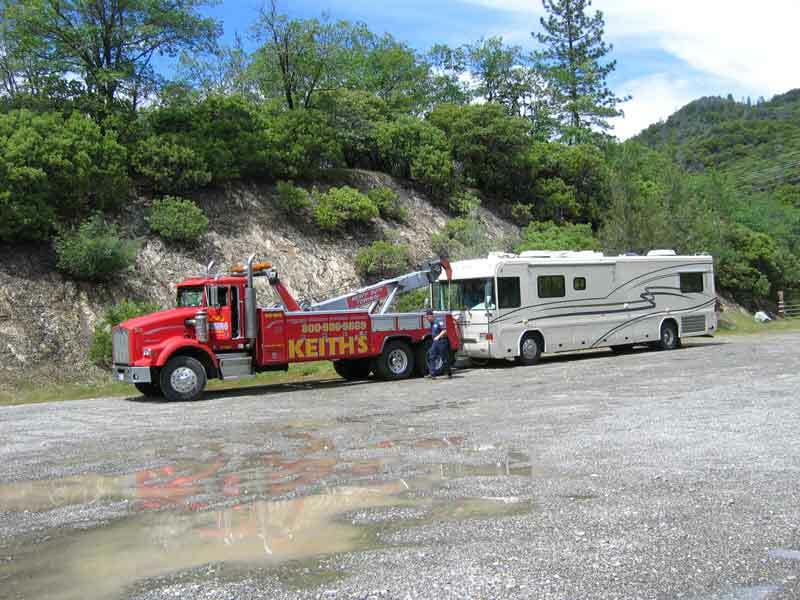 We were towed into Cummins West in Redding and spent five nights there. They have a 50 amp electric hookup and water is available to refill your fresh water tank. As you can see we have almost all the comforts of "home" including sat TV and Internet. Dumping the holding tanks is another matter, however. These folks are GREAT! They are nice to deal with and their work is excellent. We highly recommend them if you need any kind of maintenance, from an oil change and lub, to major engine work. 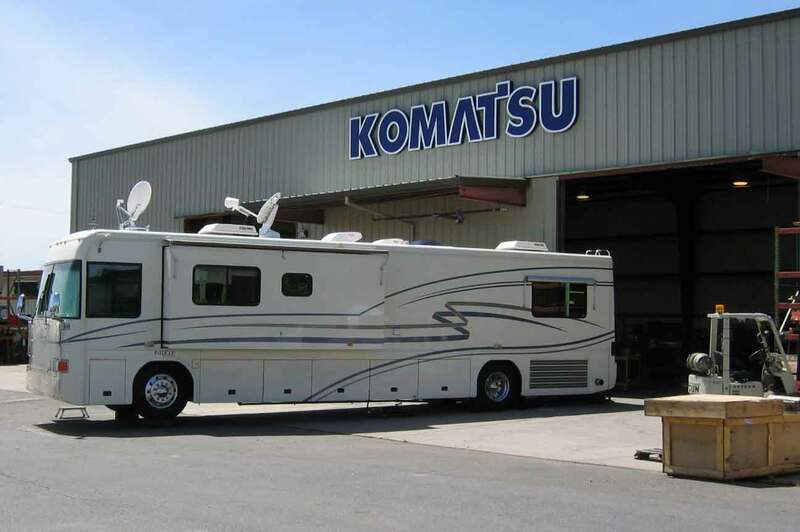 They are very "motorhome friendly" in addition to being nice friendly people. 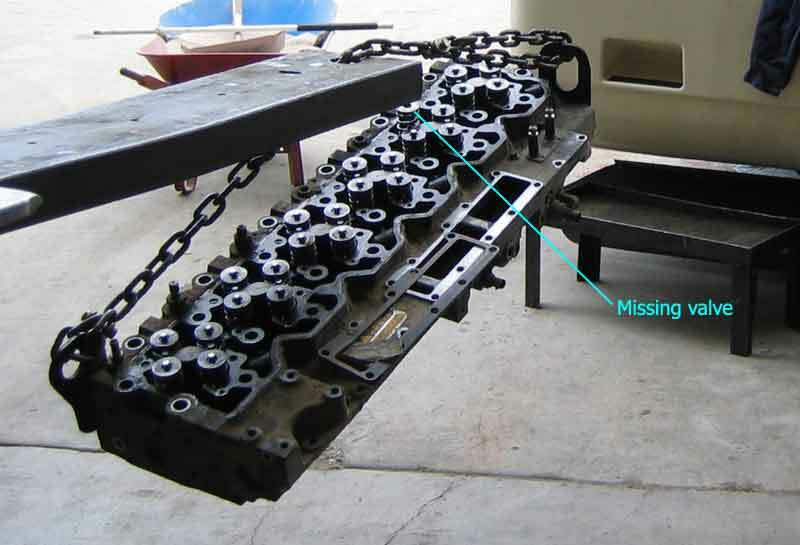 Left: The second cylinder from the right was where the valve dropped. Right: You can see the spring sticking up where the valve failed.